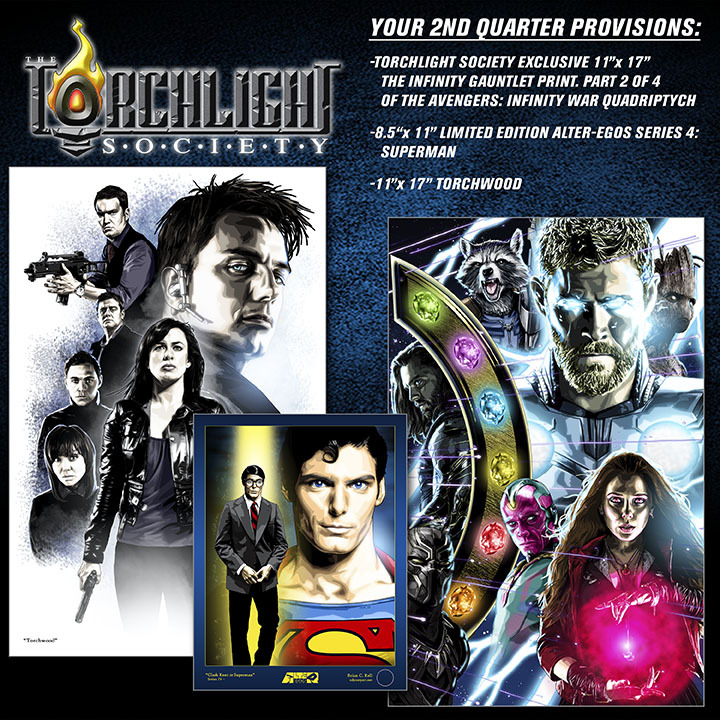 ODYSSEY ART'S EXCLUSIVE SUBSCRIPTION CLUB! 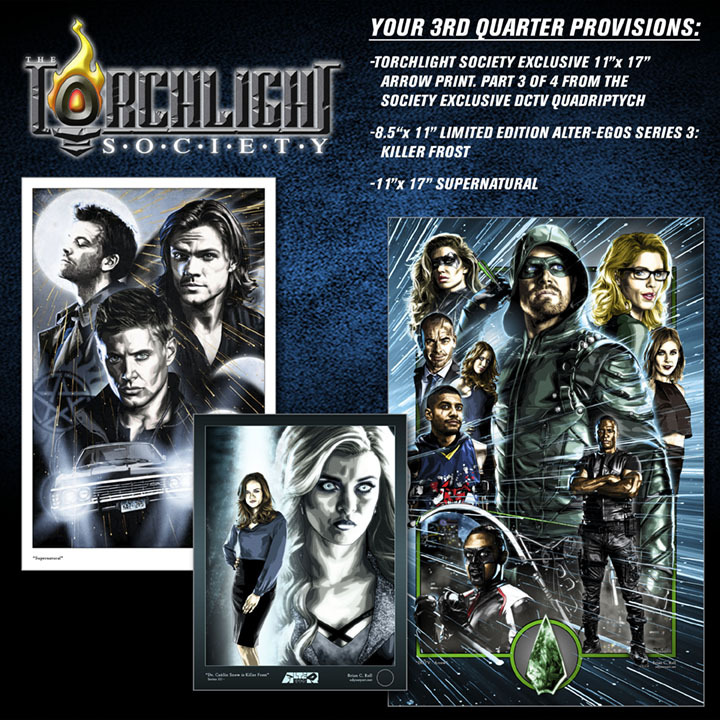 Can't get enough of our artwork? Know someone who would like to receive our art as a gift? We've got your solution for getting more of our art for less! 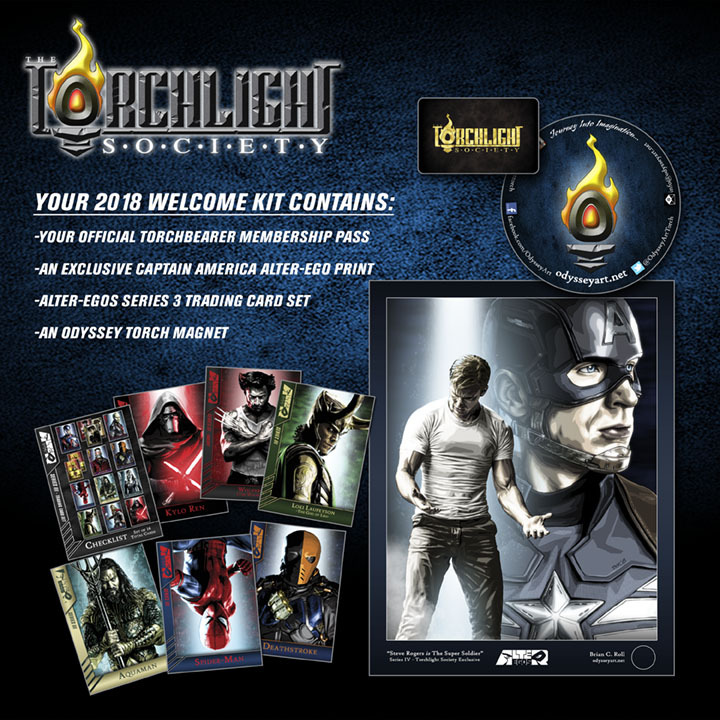 As an official Torchbearer of The Torchlight Society, you will receive a Welcome Kit upon sign-up and four quarterly shipments containing art and other Odyssey paraphernalia. 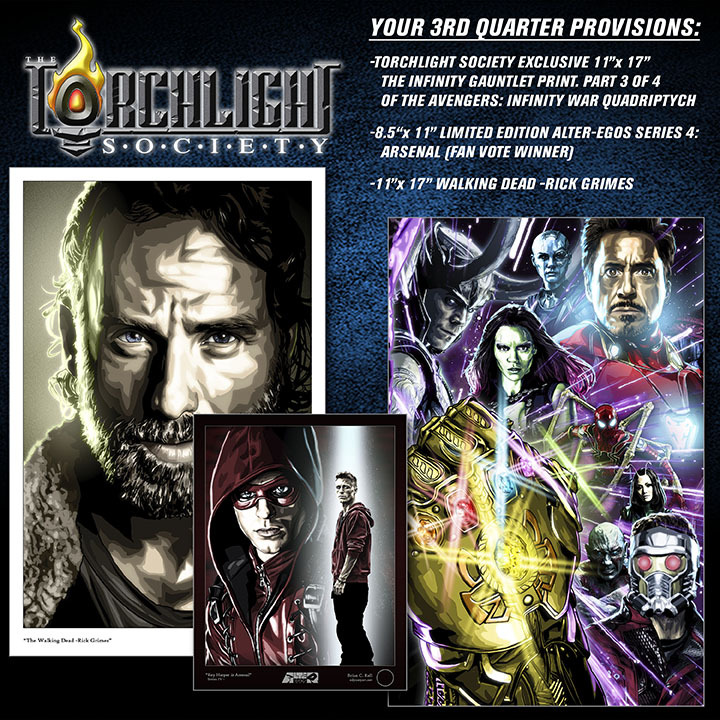 (International customers will get the Welcome Kit and two semiannual shipments combining the quarterly shipments to reduce shipping costs) The subject matter will be a mix of all the pop-culture art you've come to know and love, focusing especially on television and movies. The products in the Welcome Kit have a retail value of $35 and that's before you even factor in the discounts your pass entitles you to! Awesome! But what do I get in the quarterly shipments? 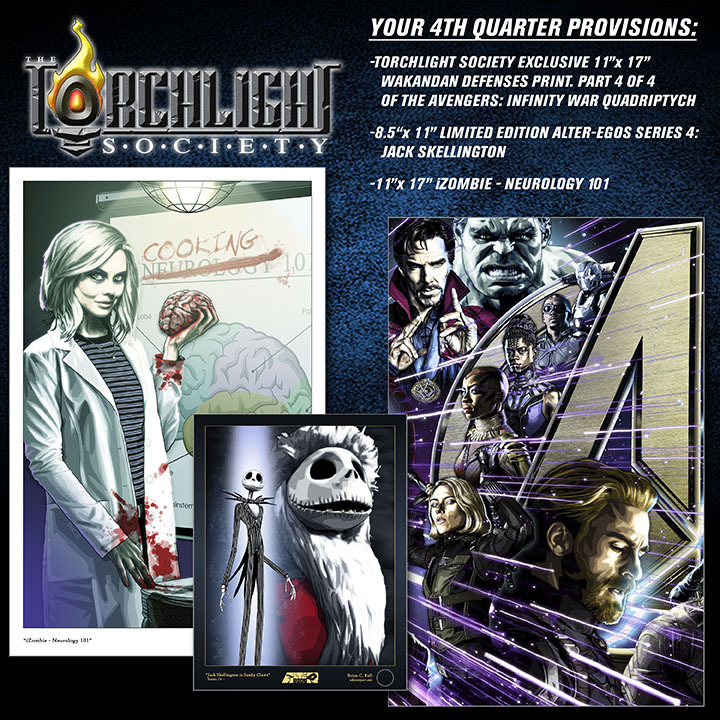 A Torchlight Society Exclusive print. 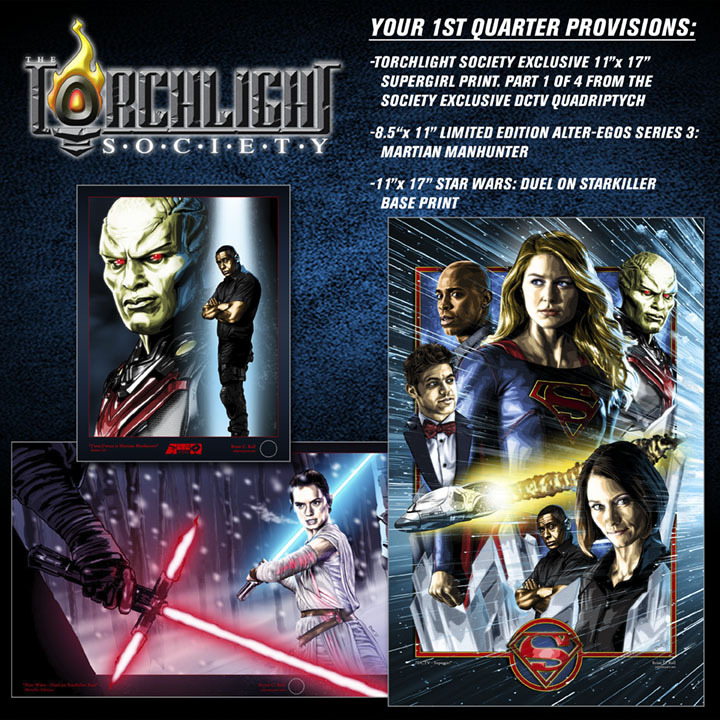 This art will not be available anywhere else and only Torchbearers will have the opportunity to purchase these prints after the shipment! 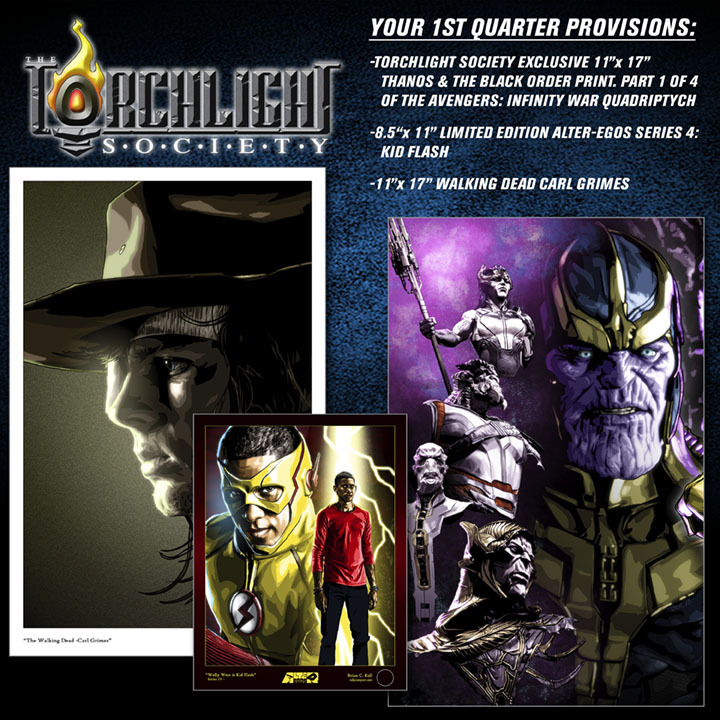 The Alter-Egos Series print released the month of the quarterly shipment. Don't know about our Alter-Egos Series? 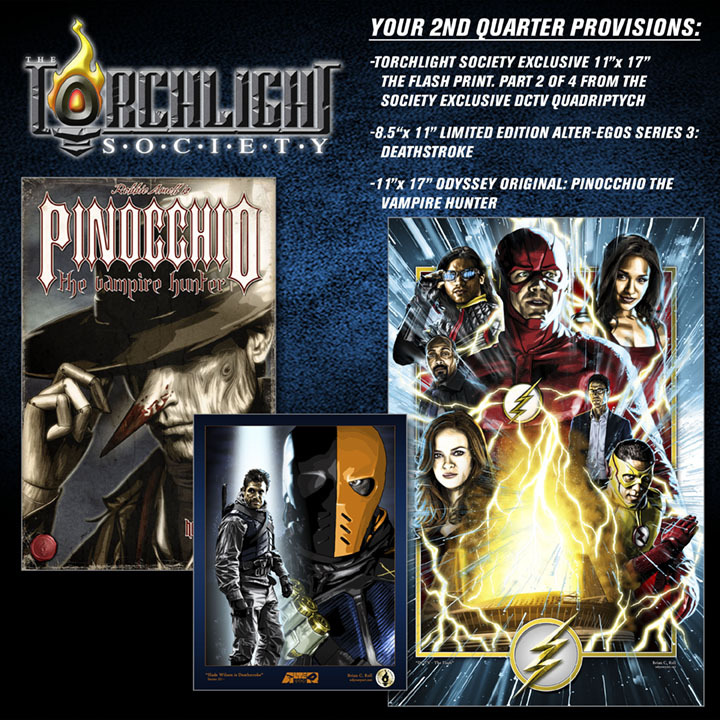 Each quarterly shipment has a base retail value of $70 or more! Fantastic! When can I expect to get my shipments? 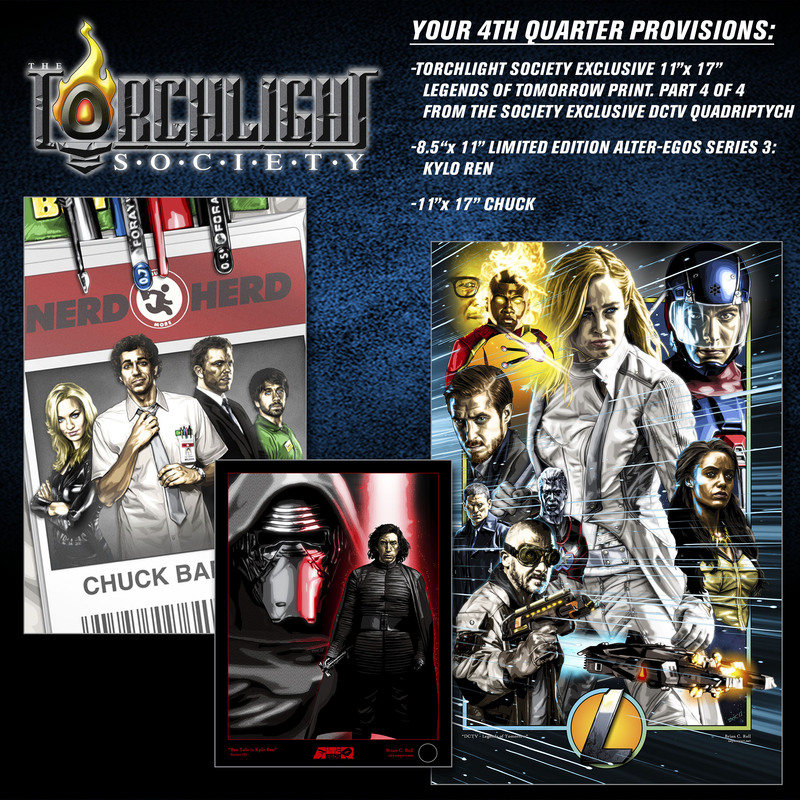 Your Welcome Kit will ship immediately so you can start using your pass right away! I'm in! How much does it cost? **Please note that this will require you to login to Paywhirl and that is different than your Odyssey Account. Paywhirl handles all of our secure subscription payment services. Thank you!